Travelling by car over long distances can be an exciting adventure, but it can get boring really fast. Going on a road trip with your friends or family is one of the best experiences that you can ever have. Some of the best road trip memories involve fun games and lots of laughter. If you and your gang are wordsmiths, then you will enjoy word logic games such as 21 Questions, Mad Libs, and Word Association. The classic road trip game 21 Questions has one goal: guess what a person is thinking in 21 questions or less. The rules are simple: you can’t repeat a question that’s already been asked. Whoever guesses the right answer gets to start the next round. Mad Libs, a very popular word game, requires participants to fill in the blanks in a story or song and create an original (and often very funny) piece of work. Word Association’s main goal is to categorize words by creating word associations. Both children and adults love a great scavenger hunt! In this simple game, passengers just look for specific objects based on different categories. The Travel Scavenger Hunt Card Game for Kids is a perfect way to keep kids occupied during a long road trip. It’s not all noise and laughter during a road trip. Sometimes you also need a bit of quiet. If you get tired of all the noise and need some quiet, it’s a good time to turn to your mobile device. Slots are a great way to kill some time on a long road trip, and it can be very engaging and exciting with its diverse themes. Starburst slots is one of the most popular slot games. It is high-energy and colorful game with dazzling gemstones and inter-galactic stars. Reminiscent of classic arcade games, this version has modern graphics plus exciting bonus rounds, scatter symbols, and a new, highly-original exploding Wild symbol. Not a big fan of gambling? word games, puzzles, and trivia quizzes can be a good alternative. “11 different creatures living on the same planet attempt to return valuable family heirloom stolen from a mysterious creature.” Answer: The Lord of the Rings: The Fellowship of the Ring. Alphabet Order has many versions, but the best version of this classic road trip game is naming things in alphabetical order from a pre-determined category like food, bands, cars, etc. Another version is looking for road signs, billboards, and businesses in alphabetical order. The winner is the first person to get to the end of the alphabet. This classic drinking game works best not only in parties but also on car trips. It starts with a person in the car making a simple statement that starts with “Never have I ever…” And anyone who has done the most “never have I ever” actions in their life will get a prize. 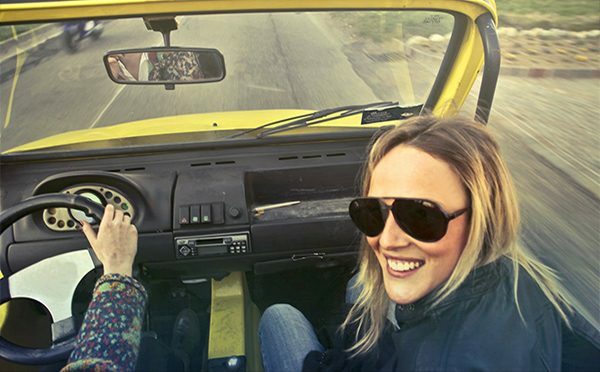 If you love music, then nothing could be more fun on a road trip than hours of music games. Some of the most popular ones are Human Karaoke and Battle of the Bands. In Human Karaoke, participants will connect song lyrics for a fun sing-along game. One person starts singing any song and using a lyric from the song, the next person has to connect it with another song. Battle of the Bands is another enjoyable game, with two people or two sides battling to pick the best song based on a theme such as “songs with rivers” or “’90s grunge rock songs”. Contestants have 60 seconds to name as many songs as they can. This is probably the oldest road trip games. Searching for license plates from all over the country is still as fun as ever and never goes out of style. 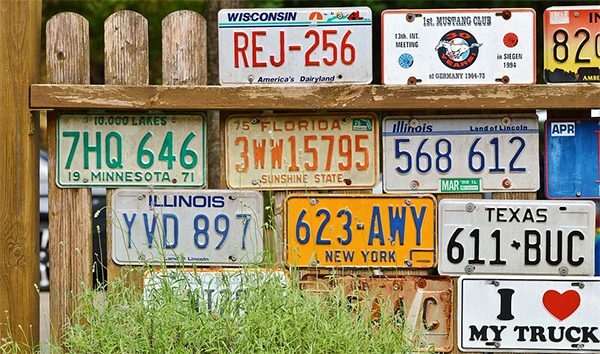 One version of the license plate game is having participants look for license plates from a state that is as far away as possible. For example, if you are in Florida, wouldn’t it be fun to spot an Alaskan license plate? This game involves your imagination as it requires a bit of storytelling and a bit of drama. Each player takes a turn looking at other vehicles and their occupants and creating a made-up story about them. The more elaborate the story, the better. This game is guaranteed to bring in the most raucous laughter. Think of two strange or disgusting activities and ask fellow passengers which thing they would prefer to do. If you have children in the car, there are available “Would You Rather” deck cards specifically designed for young travellers. When there are fun and games, the trip definitely goes much faster. Whether it’s an engaging mobile app or a group activity, these road trip games will definitely make your road trip more enjoyable.